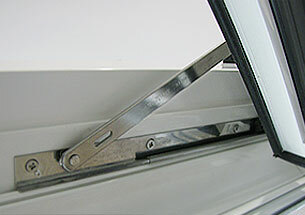 Many types of exterior sidings are available for installation on a home or garage. While the varieties influence the overall look of the outside of your home, ultimately it is important to choose one that meets all your needs, from the look to the cost. Each type has its own benefits. One common type is vinyl siding. It is made from a PVC material. Since its introduction in the 1960s, this siding has made leaps in the areas of durability, style, and color. In comparison, it is less expensive than several other types. Today, it is designed to be weather resistant and can mimic other types, including stone and wooden products. You may also find varieties that have a form of insulation fused to the inside section to help with heat loss or gain, better installation, and noise reduction. It is often common to find that many manufacturers provide some form of a lifetime warranty. Wood sidings are often chosen more for its appearance. Options available include clapboard, cedar, and engineered. Clapboard types are made from solid wooden pieces and tend to be more costly. They are, however, easier to stain and paint is less likely to peel or bubble. Cedar shakes are smaller pieces of cedar that are installed in an overlapping pattern and can be stained or sealed. Engineered varieties are a combination of wooden by-products and a bonding agent. This type looks like its real counterparts but is designed to be stronger. The benefits of wooden siding, in general, include longer life, wide color choices, and eco-friendliness. Manufactured from cement, sand, and other additives, cement fiber siding is designed to be a long living less expensive alternative to wooden siding. It is commonly chosen because it is fire retardant, impact resistant, and will not rot. Also, it is moisture and pest resistant. Paint stains on longer because it will not expand or contract. Although this type of siding costs less than other types, it can be costly particularly with the installation. This is mainly because this siding tends to be thicker and stiffer, which takes longer to cut and attach to the outside of the home. The cost varies depending on the style chosen, but it is still typically less expensive than wooden varieties. Aluminum siding is one of the least expensive options available. It is manufactured in strips similar to PVC siding and installs similarly as well. This type is available in a variety of factory colors or in a special coating that you can paint in a color you choose. It requires minimal maintenance and is fire resistant. One of the biggest considerations above the type to choose will be the warranty that accompanies each type. Some manufacturers offer lifetime warranties, or some variation of them, while others only offer limited warranties for a certain period. These warranties will be outlined in the product information and you will need to pay attention. Once the siding is professionally installed, the warranty is usually in effect. When you are trying to determine which of the sidings will be best, weigh all your options. The type you choose will suit the needs of you and your home. 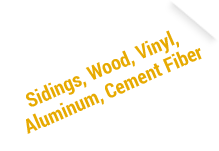 Wood, aluminum, vinyl, and cement fiber are common choices with their own costs and benefits. If you are still undecided, or need more information, a professional opinion can help you. Knowledgeable professionals can explain which options would be best for your particular home and what you are seeking to achieve.